Putting your home on the market can be stressful. Week after week of showings require your house to be presentable at all times, not to mention the hassle of vacating at a moment’s notice. If you have pets or children, that stress is multiplied. We have all been there before … it can sometimes feel like it may not be worth going through all that stress. Have no worry, though! This is how the Fast Properties Sale came into existence… to solve and overcome all of that unwanted stress towards the daunting home selling process. We’re not listing your house … We’re actually the direct cash buyers of your house. We’re able to buy houses quickly because we pay cash. 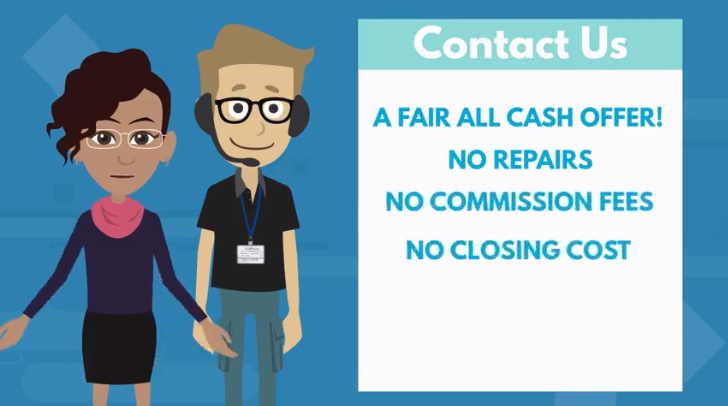 As we have mentioned, when you sell your house to us, there are no fees, no clean up, no repairs, no big banks, no closing costs, close the transaction on the date of your choice! We buy houses in as-is condition regardless of the condition of the house. So, before you make the next mortgage payment, please Contact Us here, or simply call us at 202 / 656 9974. Get A competitive cash offer on your house today! We buy homes in any condition. Fill out the form below or feel free to call us directly at 202 / 656 9974. Enter your property information - Quick & Easy! Selling your home fast has never been easier. Enter your property information simply by calling us at 202 / 656 9974, or just fill out our quick, easy & free Online Form . We will review the details of your home to make sure it meets our buying criteria, then one of our professional and friendly consultants will meet with you to view your home at a time that's convenient for you. We will present you with a fair written no-obligation cash offer. We will NOT ask you to make any repairs to your home. Also, there are no fees or commissions to sell your house to us. In fact, we will even pay for ALL of the real estate closing costs too! After you accept our offer to buy your home, we will provide you all copies of the paperwork right there on the spot. We will then safely and securely close the transaction at a licensed and state regulated Title Agency to buy your house on the exact closing date of your choice. You will have cash in your hands in as little as 7 to 10 days. We are a real estate solutions and investment firm that specializes in helping homeowners get rid of burdensome houses fast. We are problem solvers who can buy your home fast with a fair all cash offer. Copyright Davis Development Group 2017, All rights reserved.